As of Jan. 1, 2018 it will now be required by law for youths age 16 through 20 to carry a California Boater Card. STATEWIDE — The dawning of the mandatory California Boater Card has finally arrived upon boaters, but it will be enforced upon those ages 16 to 20 in the first year. All boaters age 21 and up will still be able to boat without consequence, but by the year 2025 it will be required for all boaters, regardless of age, to carry the card. The mandatory boating safety education law goes into effect on Jan. 1, 2018. The law going into effect will be for all youths operating any type of motorized vessel, including powered sailboats and paddlecrafts. In early December of 2017, The Division of Boating and Waterways began to accept California Boater Card applications on the official California Boater Card website at californiaboatercard.com and the steps and application process for obtaining a card are outlined. Prices for courses are listed on the California Boater Card website. Some prices may vary and are set by the discretion of the course provider. The Division of Boating and Waterways, however, does not receive any money from course fees charged. Some online courses offered are completely free of charge, meaning the only inconvenience would be scheduling time to take the course. As far as the boater card goes, once a boater received it then you are clear to sail the California waterways for the rest of your days. If you opt to take an online course, many of these offer animated, narrated videos to study before getting your feet wet with the exam. Once the exam has been passed online, then you can print your temporary Boater Card and go boating right away. The official boating card will arrive in the mail within four weeks. For others who would like more interaction with their marina companions might opt to take a course in person, which offers more hands-on training. The Division of Boating and Waterways will grandfather in certificates with a completion date of Jan. 1 through Dec. 31, 2017, from the approved course vendors. For an initial conviction by a young boater to drive and not carry a Boater Card, a fine will be imposed of not more than $100. With each violation, the fine amount will increase and a person may be court-ordered to complete a boat safety course. 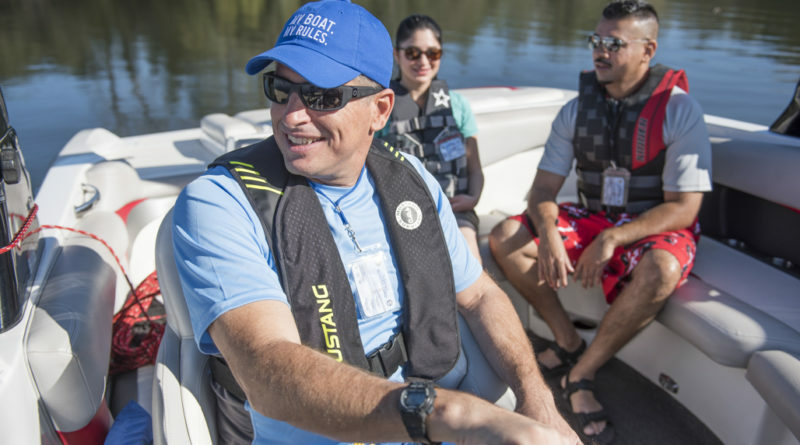 By 2025, all boaters regardless of age will be required by law to carry a Boater Card when boating on the state waterways. Of course, there will be some who are exempt, including a person operating a vessel while under the direct supervision of a person 18 years of age or older who is in possession of a California Boater Card or an out-of-state resident, is temporarily operating a vessel for less than 60 days, and who meets the boating requirements, if there are any, in his or her own state. 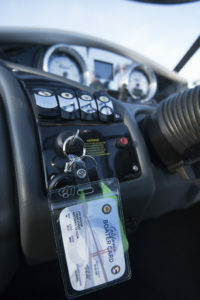 For more information about who qualifies as exempt, visit the FAQ section of the official California Boater Card website at californiaboatercard.com. The Log’s own Capt. Nicole Sours Larson recently vouched for the California Boater Card, stating she is “a strong advocate for boater education” and felt that the course offered a “refresh” of essential boating knowledge. In a positive view of the new Boater Card, this highlights safety issues on the waterways and what sailors can do to avoid danger when boating. This may be especially important to beginning boaters or paddle-boarders starting a new hobby. The decision to pass legislation for eventually making the California Boater Card a legal obligation to all age brackets may bring to light issues regarding boating safety, costs, and other controversies close to the heart of sailors. All you have to do is look at what is heading the EPA to now that this not for the environment but for the powerful Corn lobby to make more money at the cost of the boaters in this country. But is also impacts everyone who owns chainsaws, generators, lawnmowers and the list goes on. The ethanol damages the fuel lines and all the plastics in the fuel system. If you look at the warranties on these items the fuel system isn’t covered. Why? Because they know that even if you run the engine the ethanol has already coated the fuel system equipment and will continue to eat away at the plastics and O rings. I know this to be a fact for it just happen to me this pass spring. I bought a brush-cutter brand new and in less then 3 months had to have a new primer ball replaced and was charged for it as the Manufacture doesn’t cover fuel systems anymore because of the ethanol.